Welcome to the 7th edition of the Cancer Research Blog Carnival, a blog carnival devoted to cancer research. This edition includes some great articles on cancer research ethics, cancer therapeutics, cancer stem cells, cancer genetics and cancer biology. I believe it’s important to maintain perspective on the significance of cancer research and the impact it has on patients. As such, this months edition of the Cancer Research Carnival includes narratives from some people affected by the disease. I think their stories will inspire us all with their determination and courage, and serve as motivation to continue searching for therapies to combat cancer. This article was written by Matthew Krajewski. If Web 1.0 was about being told what the best information for you was (like the flat top 10 results on Yahoo! or Google), then Web 2.0 is about giving more control to the individual and inviting them to participate in the world of information. Letting users start conversations or organizing information to the benefit of the end user are two outputs of the Web 2.0 evolution. So what is Web 3.0? An article in ReadWriteWeb recently attempted to define Web 3.0, the semantic web based on personalization and recommendation. Web 3.0 may become quite adept at trying to algorithmically match you romantically, like a modern version of the 1950s board game Mystery Date, and some companies have already made significant headway in recommendation and personalization, such as Pandora and their music recommendation jukebox-like interface. These questions deal with the core physical nature of human beings and the nuances and language to express physical experience is so wide that Web 3.0 may never build the right bridge. However, Web 2.0 — with intelligent interaction flow — can make answering the afore mentioned questions much easier. By categorizing the scary wilds of the web for an end user, it makes searching that much smoother. 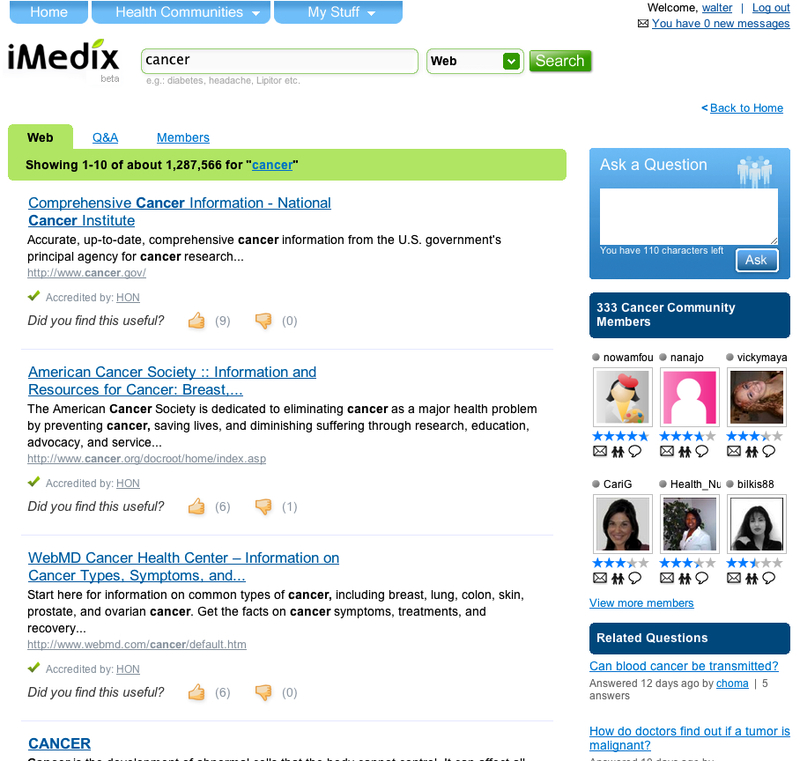 Kosmix, the creators of RightHealth, have created a categorization technology that simplifies the web. This categorization of information is important for online health search, where the nature of queries can be intensely personal. Asking a person concerned about his/her health to plough through homogenous search results is just plain cruel. Categorize the information, build your interaction flow around that categorization, and you’ve already helped make the mystery of a health question easier to understand. Web 2.0 puts the user or the user’s needs at the center of the product, at least when it’s done right. Being smart about categorization and interaction flow is more than just dressing up search results. Standard search results will require a user to determine for themselves what is a trustworthy source and what is plain spam. RightHealth treats the categorization of health information much like how an editorial health site would treat their articles: insuring results are relevant, trustworthy and of value to the end user. The user interaction associated with these valuable results is just as important, exploiting the value of Web 2.0 sensibility in order to be smarter about how health searchers interact with information to better understand their health. 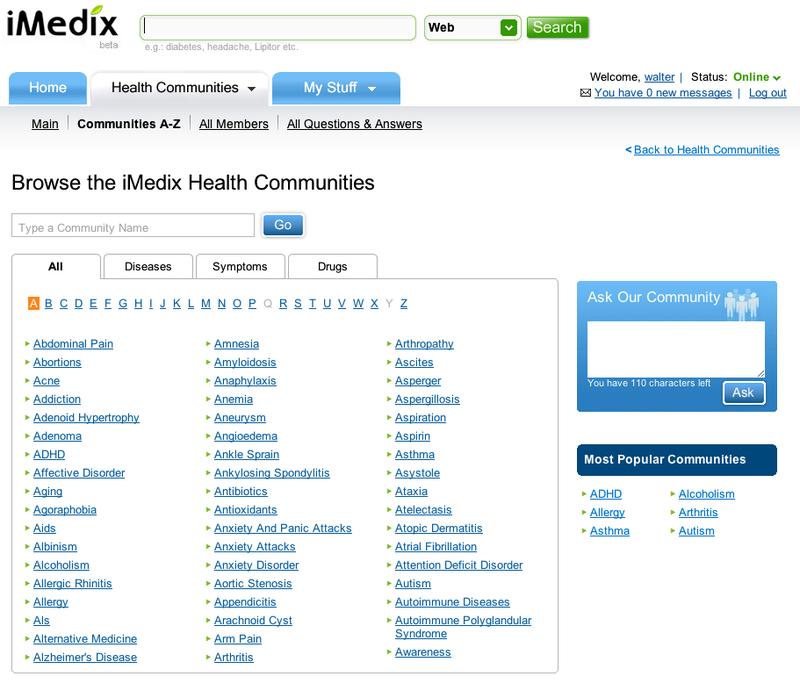 In Health Web 2.0, the user is just as important as the information they are trying to access. Building those bridges correctly is the way to effectively evaluate the quality of a Health 2.0 website. About the author: Matthew Krajewski is a writer for The Kosmix RightHealth Blog, which uses information obtained through the RightHealth search engine to provide insightful posts about health-related news and issues.